Please feel free to use any of the toys in this bin, but remember, be a good neighbor and return them here before you leave the park! These toys are for all kids to share! All communal toys will have “Mount Vernon Children’s Park” or “MVCP” written on them in black permanent marker to help differentiate from toys your kids might bring from home. 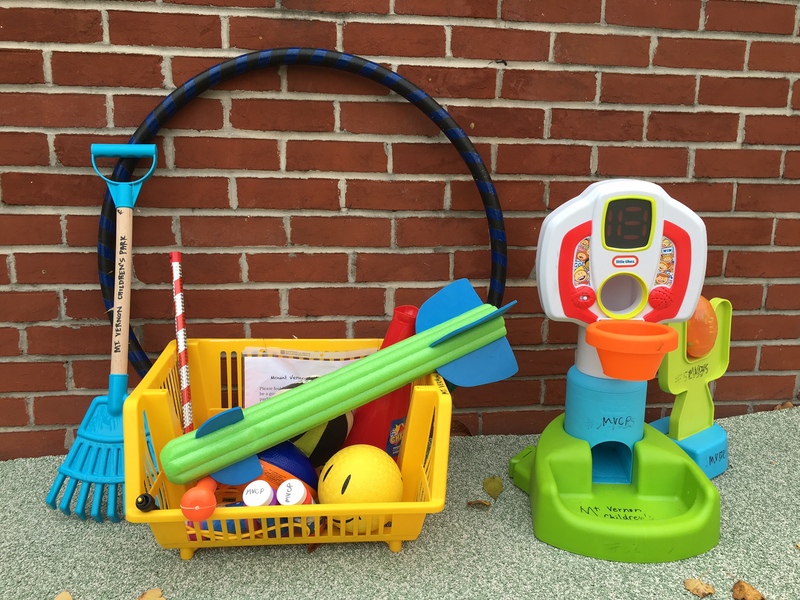 Parents—if you find that some little hands have taken any of these toys home, please help us out and return them to the park on your next visit. We also welcome donations of toys to the bin! Anything weather resistant and safe for kids will be welcome! Just write “MVCP” on permanent marker and drop them off here. Thanks!